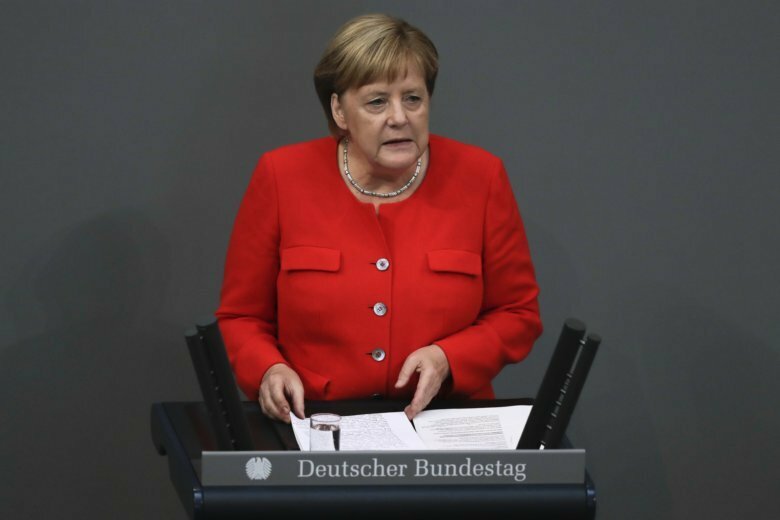 BERLIN (AP) — Chancellor Angela Merkel suggested Wednesday that Germany must be prepared to respond if chemical weapons are used in war zones, remarks that come amid a debate over possible military involvement in the Syrian conflict. Germans are widely against the country’s participation in combat missions and Merkel did not elaborate. Her junior coalition partners, the Social Democrats, have strongly rejected getting involved in the war in Syria and the party’s leader made clear Wednesday that it wouldn’t agree to any intervention without U.N. authorization. In a report based on anonymous sources Monday, Bild newspaper reported the Defense Ministry is examining the possibility of some kind of involvement in future military action if Syria’s government carries out a further chemical attack, following a U.S. request to the chancellery. On Monday, Merkel spokesman Steffen Seibert said that “of course the German government is in contact with partners and allies” on the situation in Syria, but did not directly confirm the Bild report. “We must be prepared, because we do not know what concrete situation we will face,” she added.